Feme: Marine habitat fragmentation: trouble in sight? Marine habitat fragmentation: trouble in sight? One of the main causes of species extinction and loss of ecosystem services – the benefits we derive from ecosystems to our life quality – is habitat fragmentation, along with the introduction of alien species, resources overexploitation, pollution, habitat destruction and alteration. Fragmentation is when a large area of habitat is broken into smaller and isolated patches, which become surrounded by a different type of habitat (including urban or other human-made habitats). 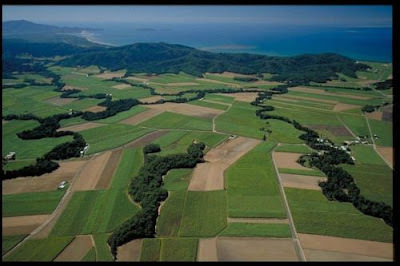 The most obvious effect of fragmentation is the decrease in habitat amount. Then, how is habitat fragmentation different than habitat loss? The difference is subtle: habitat fragmentation requires isolated patches of habitat with various sizes and varying isolation degrees between themselves. Although not exclusively attributed to humans, habitat fragmentation has certainly increased since the development of agriculture, as the latter requires the clearing of vast areas of natural vegetation to grow food. When habitats are fragmented, natural populations of animals and plants are exposed to new and/or increased risks. First, a patch will very likely contain a smaller population then a continue landscape would, and the odds of going extinct to a small population are much higher than to a bigger one. Fragmentation can also have long-term effects like changing predation risks, the feeding habits of some animals, and even their behavior, among others. But such risks depend strongly on the species characteristics, such as if it is a large or a small organism, how dependent it is on the native vegetation, and how much the individuals of that species can move (disperse) between the remaining habitat patches, among others. What we know about fragmentation comes especially from terrestrial habitats. It is just natural that we try to learn what happens within habitat patches when forests are transformed into plantations or cities and all that is left behind are some patches of trees. Despite the homogeneous appearance of the oceans, some studies have shown that marine populations are being affected as well by human-caused fragmentation. There is no forest as we know in terrestrial habitats, but there are different kinds of vegetation and substrate, like seagrass, kelp forests and coral reefs. 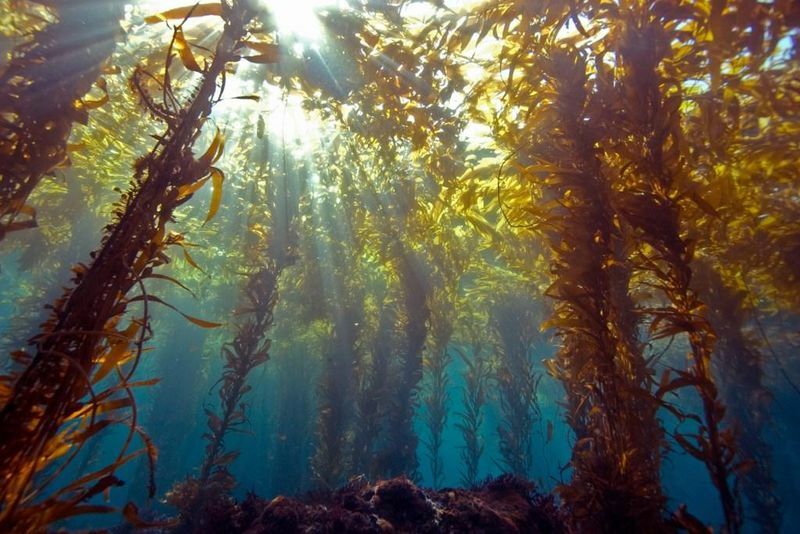 The removal of these vegetation and substrates affects the population dynamics of marine animals in a similar fashion to terrestrial organisms. For example, juvenile crabs and fish use the seagrass as a refuge from predators, so, the loss of seagrass cover and/or its fragmentation presents a huge impact to the survival of these species. Seagrass fragmentation can be natural, caused by waves, currents or animals, for example, but when such fragmentation is caused by humans, the impacts are usually stronger. By now you may be wondering how humans can fragment marine environments: we do so by boating, fishing and by developing the coast in inappropriate ways. The consequences of human-induced fragmentation go beyond the impacts on crabs. Marine fragmentation can also affect the provisioning of ecosystem services, such as fish production. The fragmentation of tidal creeks, for example, has been shown to decrease the secondary production of fish, which is the generation of biomass over a period of time, for important fishing species in the Bahamas. Decreasing food availability and survivorship of juvenile fish caused by fragmentation were found as the main reasons for this drop of fish production. 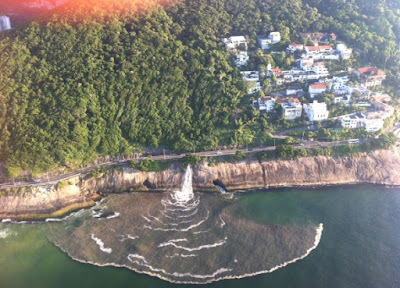 There are also examples of marine fragmentation by wastewater (sewage effluents) and stormwater (runoff of highly modified natural river basins). 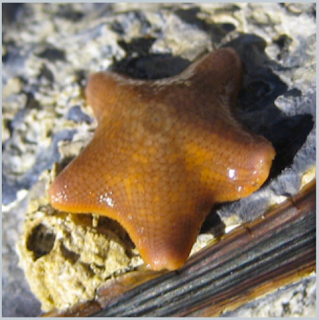 In California, coastal pollution has been shown to limit larval dispersal and population connectivity of a species of bat star, with effects equivalent to habitat fragmentation. This is an important and disturbing discovery, because it implies that even species with no economic interest as a star bat are being strongly affected by human development. Only few studies to date are focusing on understanding the human impact on evolutionary processes of marine populations, and the findings are still shallow. But the fact that these effects are occurring is critical for thinking about fisheries management or for choosing where to place a marine protected area. Besides, it is clear that we cannot treat the oceans as a big dumpster for our sewage and runoff if we are to maintain and protect reefs and seagrass for our own future use of ecosystem services.